The Indian rupee’s recent fall against the US dollar has been phenomenal. Along with the currency crisis, the inflation of food prices has been in the spotlight as well. Hidden behind the price rise among food commodities is the steady increase in diesel price. Since 2012, the government has made an effort to reduce subsidies and decontrol diesel prices by increasing it by 50 paise per liter every month. Despite that, losses on diesel for state-owned oil companies are hovering around INR11 per liter. So, the government is now under pressure to drastically increase the diesel price by INR2-3 per litre. The current fuel crisis resurrects an old debate about alternatives for imported petro-diesel, which has burdened our country with a huge current account deficit. Various alternatives such as ethanol, electric fuel cells, hydrogen have been tried out. However, all these fuels require setting up a capital-intensive infrastructure, which needs a critical mass of buyers before they can be economically feasible. However, Biodiesel produced from oilseeds is considered a good alternative, which is not only produced locally but is cost effective as well. Biodiesel is an innovative biofuel made from vegetable oil that can be used for standard diesel engines without any alteration. Way back in 1900s, the engine’s inventor Rudolf Diesel had suggested that the diesel engine can be fed with vegetable oils. However, abundant availability of petroleum overshadowed the utility of vegetable oils over time. Now that the world is facing high crude oil prices, there is a concentrated effort to identify alternative fuels. So the focus is back on Biodiesel. 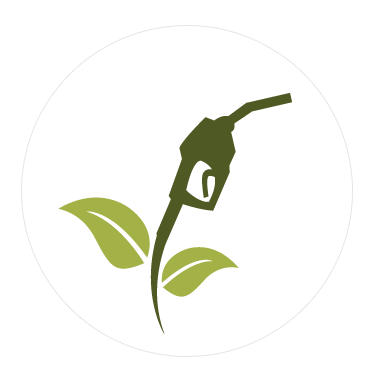 Biodiesel – technically called ‘esterified vegetable oil’, is produced through the ‘Transesterification’ process, which separates the thick viscous ‘glycerol’ and the thin fuel ‘methyl ester’. Biodiesel produced through this process is costlier than petro-diesel due to a chemical process that involves other ingredients such as methanol. This fuel can be directly used in a diesel engine without any alteration to the machine. Straight vegetable oil (SVO) – is the unrefined and non-processed oil directly extracted from oil seeds. SVO produced by oil expellers across the country is cheap, whose market price depends on the oilseed and transportation costs. However, this fuel cannot be used directly; it needs to be blended in minor quantities with petro-diesel. The typical mixing ratio would be 80% petro-diesel and 20% SVO (B20 blend) or 90:10 ratio (B10 blend). 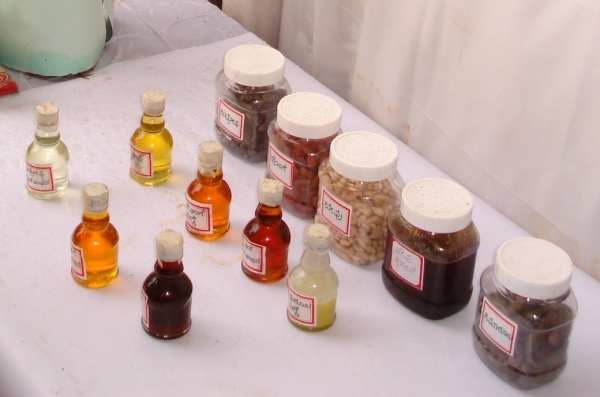 SVO is mainly extracted from non-edible oil trees such as Neem, Mahua [Madhuca longifolia], Karanja [Pongamia pinnata], Jatropha [Jatropha curcas], Simarouba [Simarouba glauca], etc., which grow abundantly across the countryside. There are about 20 other plant species like palm, rapeseed, sunflower, soya whose edible oil seeds also yield acceptable Biodiesel. Just when the discovery of Biodiesel in India gained prominence and the market for biofuels picked up, the controversial “food versus fuel” debate grabbed the media spotlight. Apprehensions were raised about food crops being diverted from food markets to energy markets to produce biofuels, leading to a massive hike in food prices. Critics argued that investments in biofuels will decrease food security in developing nations such as India, where there are large masses of people who cannot afford to buy food at current prices. Edible vegetable oils such as palm oil and soya are two of the most common feedstocks for biofuel production around the world. Further, India’s demand for vegetable oil far outstrips its supply. However, one crucial factor that got lost amidst this debate: non-edible oils could be used instead to produce biodiesel! The critical question that biodiesel proponents need to answer is whether it is economically feasible in India. Pune-based Applied Environmental Research Foundation (AERF) is a voluntary organization that has been earnestly working on biodiversity and forest conservation. Jayant Sarnaik, Deputy Director, AERF spoke to me in detail about the production process. To prevent farmers from cutting trees for fuel wood and fodder, AERF has set up oil-seed collection and expeller centers in remote villages. These centers help in supplying Biodiesel to run diesel gensets and producing oil cakes for fertilizer as well. Since Biodiesel is a costlier fuel, we will confine ourselves to the feasibility of straight vegetable oil (SVO). Jayant Sarnaik says, “This fuel is nature’s gift for an oil starved India. Even farmers can make oil in their village and run their diesel gensets or tractors without the need to visit cities for fuel. So not only we can ensure energy security for our country, but also self-reliance for remote villages”. The current price of Biodiesel at INR48 per liter compared favorably to diesel at INR60 per liter (Karnataka & Maharashtra). Prof. Balakrishna Gowda, Project Coordinator for the Biofuel Park, funded by the Karnataka State Biofuel Development Board said, “the collection of oilseeds from trees that are spread across the countryside is a labor-intensive process. Finding villagers who are willing to collect them is a tough task.” Moreover, the support price set by the National Biodiesel Policy at INR26.5 per liter is unsustainable as compared the actual production cost of INR36 per liter for jatropha oil. 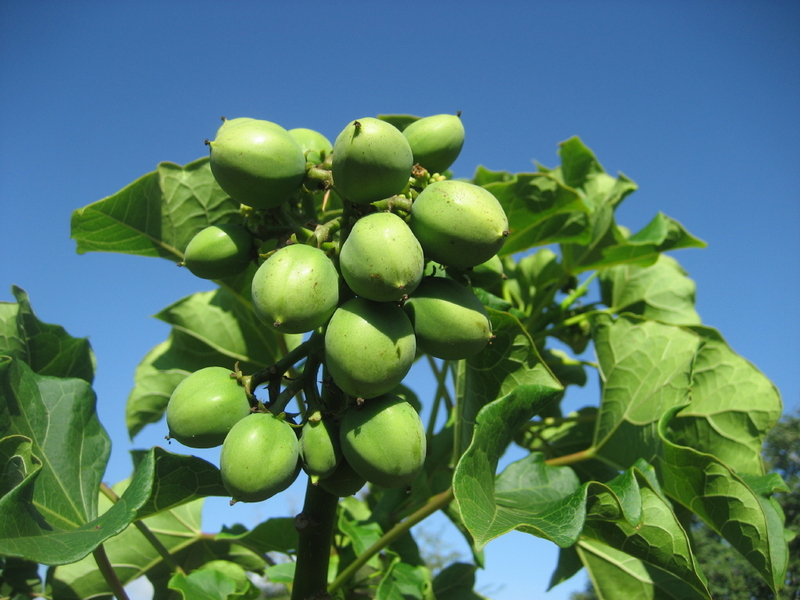 Prof. Balakrishna suggests a solution of producing a range of seed feedstock of pongamia, jatropha, simarouba, mahua and castor oil seeds, which will be ideal for a year-round production of biodiesel. However, this can only be done for rural areas where manual plucking of seeds and oil extraction can be at a low cost through cheap labor. Despite the drawbacks, there have been a few case studies of successful utilization of Biodiesel. For instance, since 2005, the Karnataka State Road Transport Corporation (KSRTC) has been intermittently using B20 blend for its buses running across Karnataka. 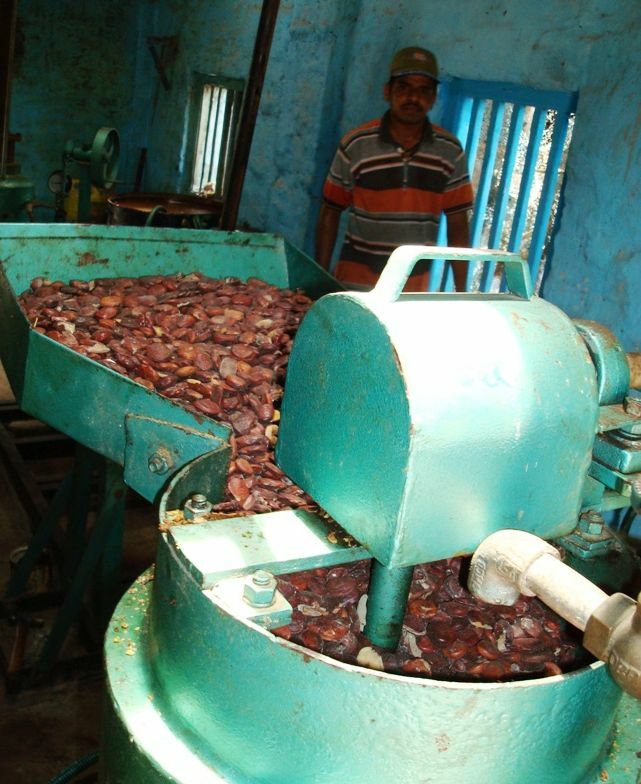 Environmental Officer Ananda Rao P S said, “It began as an experiment to use 10% blend of Biodiesel extracted from Pongamia oil, which was supported by scientists from the Indian Institute of Science. Soon, KSRTC Doddaballapur unit began utilizing nearly 8,000 liters of Biodiesel mixed with regular fuel. Now we buy fuel enough for running 2,000 buses”. Hyderabad-based Gaiatech Fuels has been supplying approximately 1.6 million liters of Biodiesel to the Navi Mumbai Municipal Transport system (NMMT) since 2009. Mike Stiller, director for Gaiatech supplies biodiesel of B20 blend used by the NMMT’s 261 buses, which travel 65,000 kilometers daily. The NMMT first started using biodiesel supplied by Gaiatech on a trial basis in September 2008. Gaiatech supplies 3 million liters of Biodiesel to KSRTC as well. Across the globe, there have been many instances of successful implementation, but most of them utilize palm oil or rapeseed oil. With crude oil prices hovering around $100 per barrel, proponents of Biodiesel in India still hope there is a fair chance for this humble oil to grab its rightful place in the mainstream.